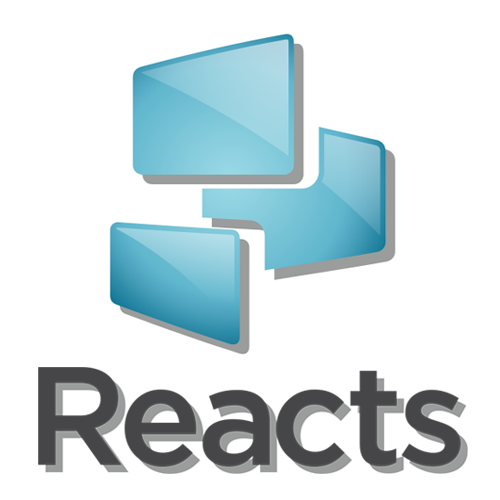 Note: If you are having an issue with an audio/video device that is being used for the first time with Reacts on a specific machine please make sure device's drivers are up to date and you either plugged in a device before starting Reacts or if Reacts was already running when you plugged in your device- log out and log back into Reacts. Make sure that your speaker volume or headphone volume isn't muted or turned down (If the button looks like this: , tap or click it to turn off muting). Note: Some laptops and tablets have an external volume control on the outside of the case. If you're using a laptop or tablet, check the external volume control to make sure it's not turned all the way down. In Reacts from the Home menu go to Settings --> Audio / Video Settings and verify that an output device appears in the drop down menu of the Speakers/Output. (You can also access Audio/Video settings from session interface- go to Actions panel on the right side of the screen choose Settings and then Audio/Video). Make sure the volume of your playback device is turned up. You can test your selected playback device by clicking on the test button. If the Speaker / Output selector is empty open the menu to select a playback device. If the menu doesn't contain a playback device verify your windows setting to make sure one is available on your machine (Refer to this document). If playback device is available on your machine and you still can't see it in the menu please log out and log back into Reacts. 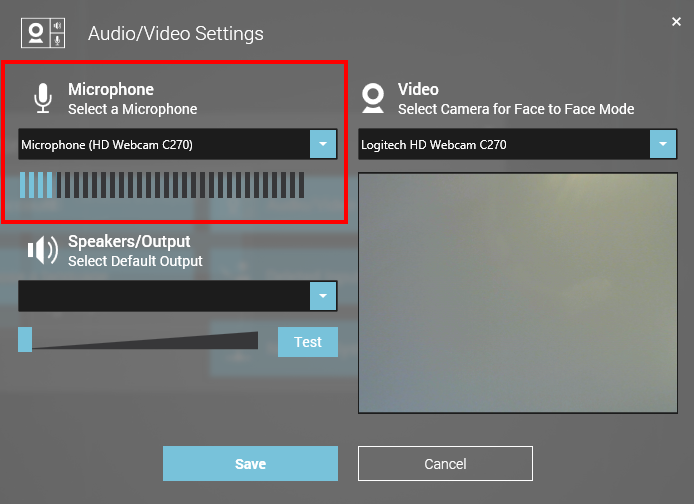 If the problem persists and everything is properly set up, you can hear sound when clicking on the test button the problem could be with your counterpart recording device/microphone. Note: There is currently a known issue with a microphone not working in Reacts if you are using a headset or a headphones with a built-in microphone. Verify your windows setting to make sure recording device/microphone is available on your machine and installed properly (Refer to this document). From the Home menu go to Settings --> Audio / Video Settings and verify that a microphone appears in the drop down menu of the microphone. (You can also access Audio/Video settings from session interface- go to Actions panel on the right side of the screen choose Settings and then Audio/Video). If the Microphone selector is empty open the menu to select a microphone. If microphone (recording device) is not showing up on the menu and all windows settings are correct please log off and log back into Reacts. If the problem persists and everything is set up properly, the sound bar is moving the problem could be with your counterpart Speaker / Output setting you may want to direct them to -"I do not hear my counterpart: Section 1. 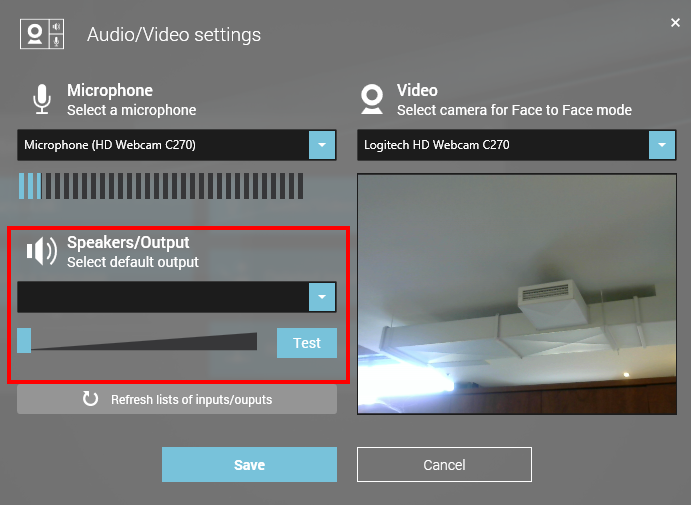 Speakers / Output settings verification"
From the Home menu go to Settings --> Audio / Video Settings and verify that a camera(s) appears in the drop down menu of the video. (You can also access Audio/Video settings from session interface- go to Actions panel on the right side of the screen choose Settings and then Audio/Video). Video connections/quality can be affected by the amount of bandwidth you have or the type of connection (land, wifi, 3G). Reacts require a minimum bandwidth of 0.5 Mbps. for the broadcast of a single video signal (2 Mbps optimal). For each additional camera added to a session, an additional 0.5 Mbps (minimal) to 1 Mbps (optimal) is required. Additional bandwidth is required when several functions are used at the same time (i.e. file transfer, screen sharing, etc.). 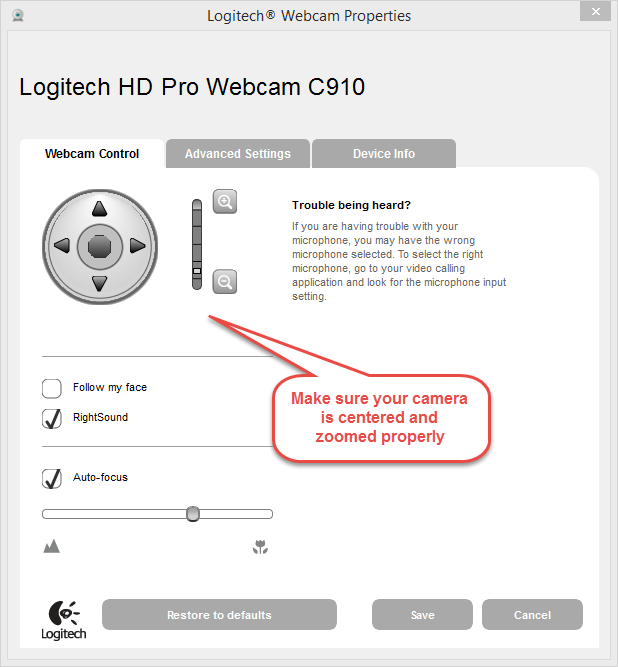 In limited bandwidth situation, you should therefore try to limit the number of cameras connected and the number of concomitant functionalities used. Note that Reacts gives you the ability to manage bandwidth during the session (ie: you can hide your webcam(s) during a session to optimize bandwidth to other functionalities). If the problem persists and everything is set up properly the problem could be with your counterpart settings- you may want to direct them to -"I do not see my counterpart" section below. Right click on your counterpart's camera feed(s) at the top of the screen and choose option Refresh.